I am reviewing some older photos that I just never processed - a few this week from Acadia National Park. 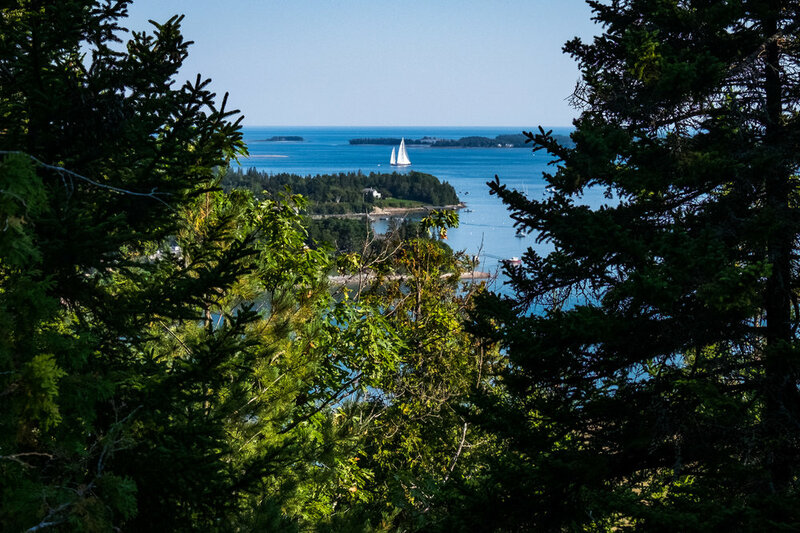 As we climbed Acadia Mountain along Somes Sound there was a break in the trees and we could see this boat against Sutton Island and the Atlantic stretching out beyond. Delightful day.